Properties in Le Bons Bay average 4.4 out of 5 stars. 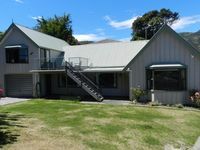 Property 16: Tranquil Bush Setting with Sea Outlook. Property 24: Quality Architecturally Designed Home. Great Winter Home with fire place. 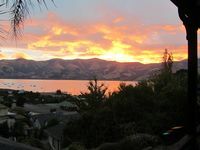 Property 31: Ultimate Akaroa family retreat! Property 37: Stunning Views,All Day Sun and Amazing Sunsets.